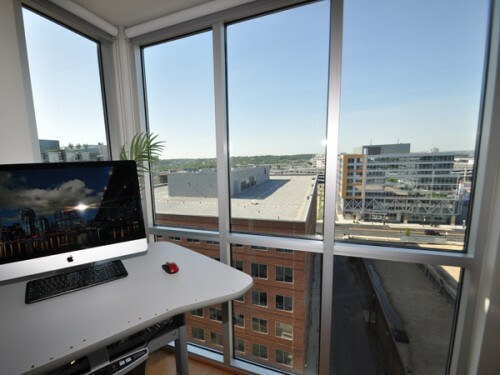 “I bought this condo because I wanted a nice place to setup my treadmill desk and somewhat minimalist setup. I found the Navy Yard location excellent for bikeshare and easy access to the interstate (which is crucial, since I work outside the beltway). The condo building is new, everything works, and it is easy to clean. My furniture is currently scheduled to be moved into storage while I am away, but I would be willing to leave it in place at no additional cost if you like the setup. This studio is going for $1,850/Mo. Dear PoPville – Why didn’t they develop this side of the block into retail, office, or anything?